gives me the opportunity to see the beautiful skies across the World as well as to showcase my photograph. Today, I have picture of Lake Palace (formerly known as Jag Niwas) which is a luxury hotel in Udaipur. It was constructed by Maharaja of Udaipur however currently this place is taken on lease by Taj Hotels Resorts and Palaces. This picture was taken from my hotel balcony at around 6 0 clock in morning. Different shades in water are perhaps the shadows of clouds. OMG, Azazing view. The city of Udaipur has a lot to add to this list. Everything is great there the lakes, the palaces everything.When I was there last time, I felt like I was in heaven. 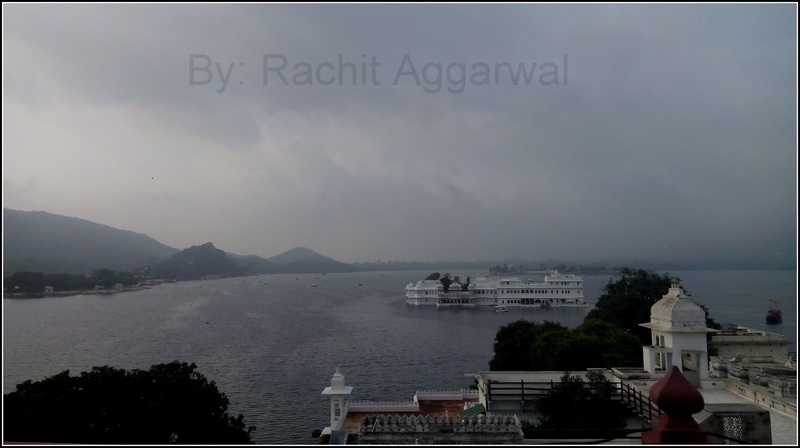 It certainly has a long list of places to visit in udaipur. I will suggest everyone to visit this once in their life. Thanks a lot Nick for taking out time and writing comment over here. Yes, I do agree with you that one must visit it atleast once in their life..I would also like to give special emphasis over the food which is very good especially buffet in Hotel Garden as well as Hotel Natraj. I have visited all place in Udaipur. I was staying in budget hotel www.hotelgrandesita.com/ where they got all good facility which where pocket friendly. Amazing shot this is! Lovely.